"The apocalypse has arrived in Sin City. There're only two options: survive or become a zombie. Oh, and grab some cash while you're at it..."
From the works of George Romero, to the world phenomenon of the Walking Dead, the world is obsessed with the undead. 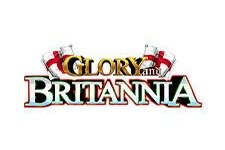 It seems the world of slot games hasn't remained immune to this trend. 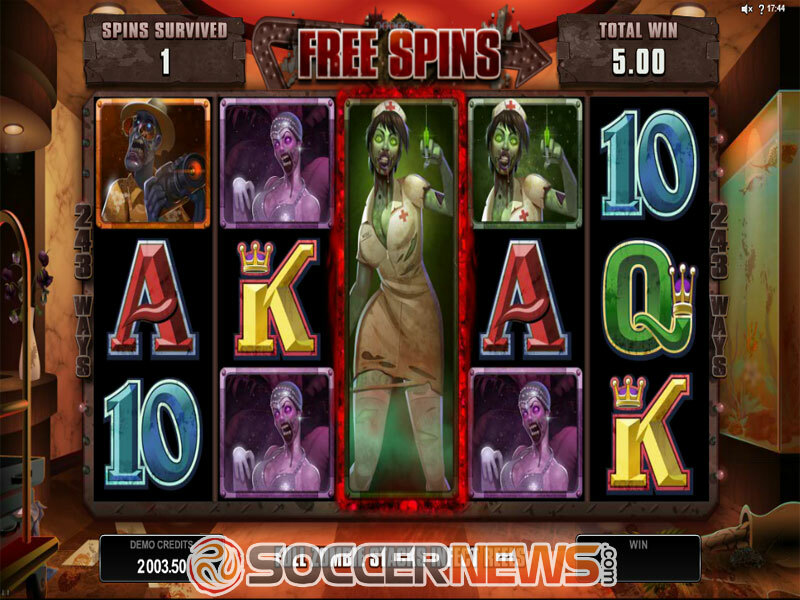 Microgaming has brought the apocalypse into the very heart of gambling, Las Vegas, Nevada. Lost Vegas takes us straight into the infection-stricken city, where the only two options are either to survive or die and join the hordes of the undead. 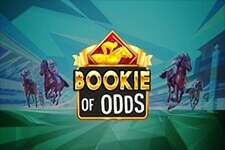 This is a five-reel video slot with 243 different ways to win, while the most appealing feature of the game, and definitely a unique one, is the fact you can choose between two distinctive game modes. You can choose to play as a part of the group of survivors, or you can be one of the undead. 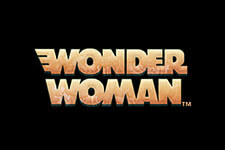 This choice will offer different bonus features, while some are shared. You can always switch sides during the Main Game. The coin denomination ranges from $0.01 to $0.10, while the betting starts at $0.30 and can go all the way up to $45 per spin. The list of the game's symbols includes playing cards, as those of the least value, and the group of survivors, who pay the big bucks. As usual, the Wild, which is represented by a symbol featuring the game's logo, can substitute for all others, except the Scatter. 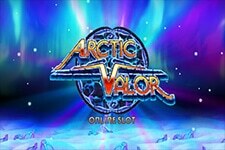 Three or more Scatters will trigger the Free Spins game, while its features will depend on the choice you made earlier. If you play as a survivor, the Free Spins will start with the Stash feature. Any playing card symbols that land are removed from the reels, while each of them will add cash to your stash. If you play as a zombie, the game will start with the Infection feature. Full zombie stacks will infect reels, and those infected will turn single Wilds into the Stacked Wilds. 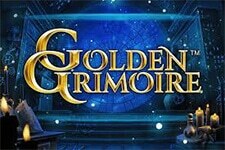 The feature continues until all reels are infected, which means there's up to 50 spins at hand. 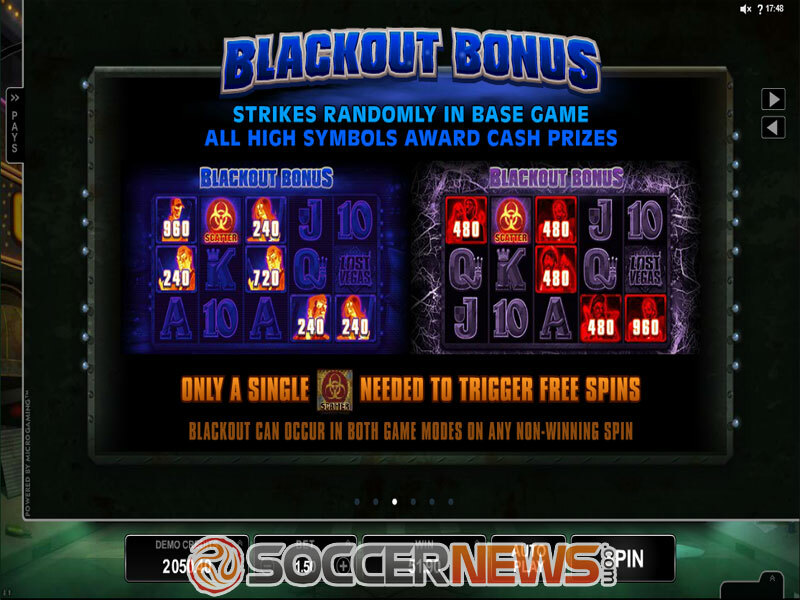 The Blackout Bonus appears randomly during the Main Game, in both game modes, and upon its activation all top-paying symbols award cash prizes. 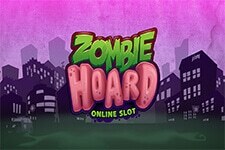 With Blackout Bonus, only a single Scatter is needed to activate Free Spins. The Zombie Fist of Cash feature also appears randomly in the Main Game, in both game modes. When a giant zombie hand reaches up from below the reels stuff with dollar notes. Check this title out as soon as possible and see how lucrative the end of the civilization can be. Find Lost Vegas at any of Microgaming casinos. Choose between the Survivor or Undead mode. "If you're a fan of the zombie genre, then you'll love this title. 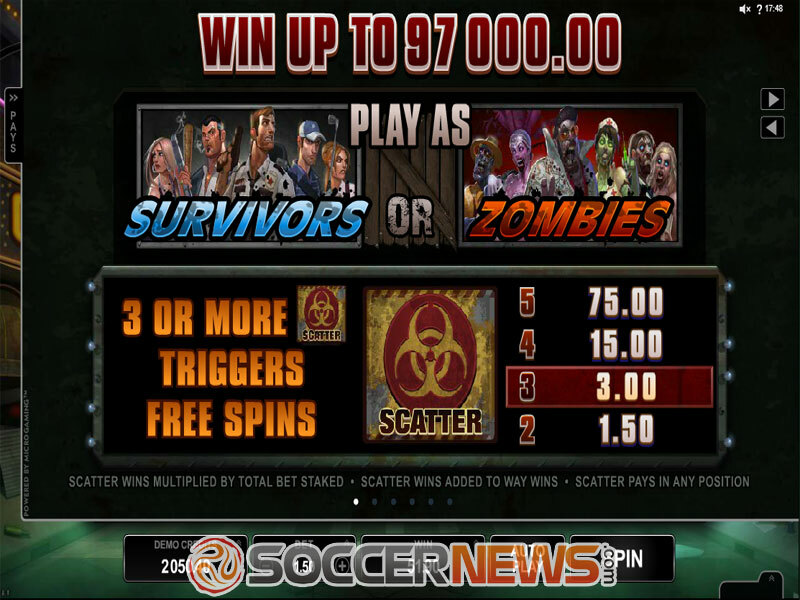 It has all it takes to keep you seated for hours: lots of excitement, plenty of action, hefty payouts, and even two game modes, which offer the chance to play either as a survivor or as a zombie. The end of the world has never been so rewarding."